5% Off, All Orders Under $499. 10% Off, All Orders Over $500. Comfortable protection against over-spray and other particulates. 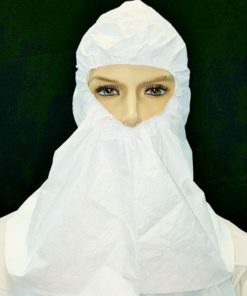 Can be worn with goggles and half-mask or full-mask respirators. Breathable stretch knit material keeps you cool. 20 boxes ordered will be shipped as an case. Each box contains 12 hoods. 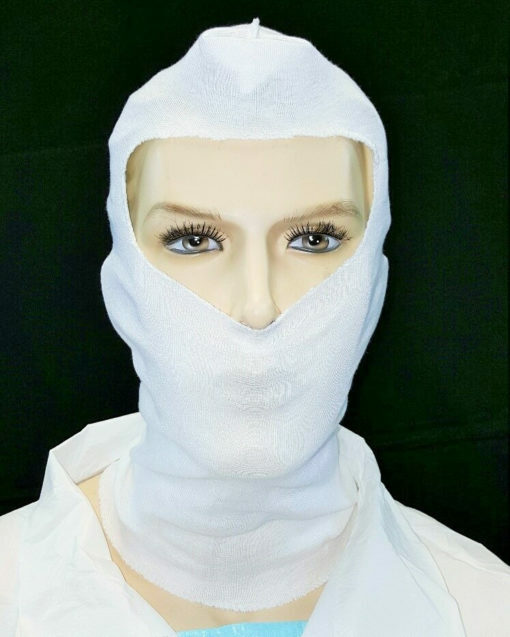 Hood with elastic face opening and surged seams Can be used with with safety goggles, half mask respirators or full mask respirators. Shoulder length. A barrier for very small particles. One size fits all.